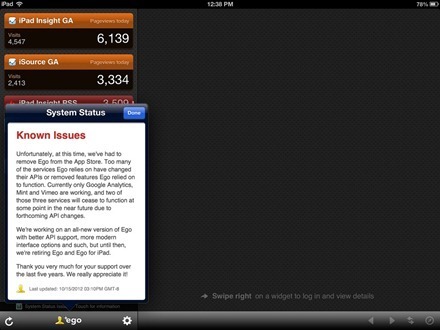 Ego has been one of my favorite iPad apps for a long while. 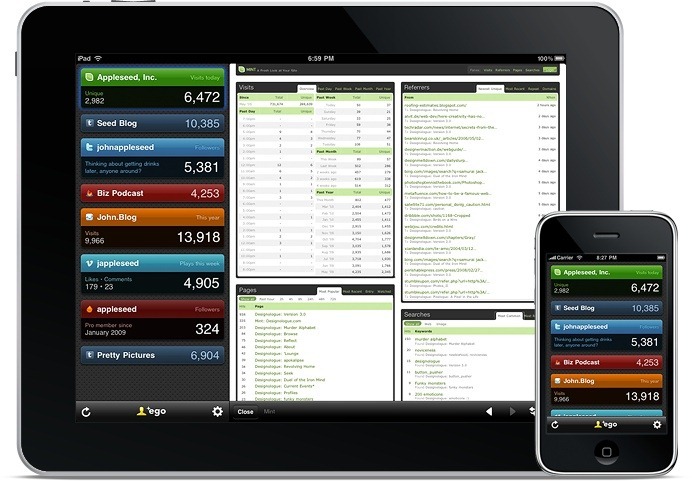 It is / was an app that offers a quick, simple view of your web statistics – ideal for anyone who runs blogs or websites. 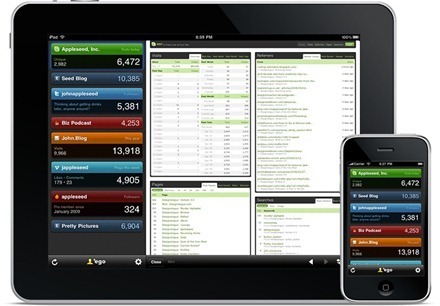 It was able to track a number of major services and present stats for all of them in a compact view – so you could take them in almost at a glance. Among the services it used to offer support for are: Google Analytics, FeedBurner, Twitter, Mint, and Vimeo. Unfortunately the app has now been removed from the App Store by its developers. Unfortunately at this time, we’ve had to remove Ego from the App Store. Too many of the services Ego relies on have changed their APIs or removed features Ego relies on to function. Currently only Google Analytics, Mint and Vimeo are working, and two of those three services will cease to function at some point in the near future due to forthcoming API changes. We’re working on an all new version of Ego with better API support, more modern interface options and such, but until then, where retiring Ego and Ego for iPad. Thank you very much for your support over the last five years. We really appreciate it! I’m sad to see this news, but glad to hear that an all-new version is in the works. For now, I’m going to keep Ego around as it still gives me accurate Google Analytics numbers. 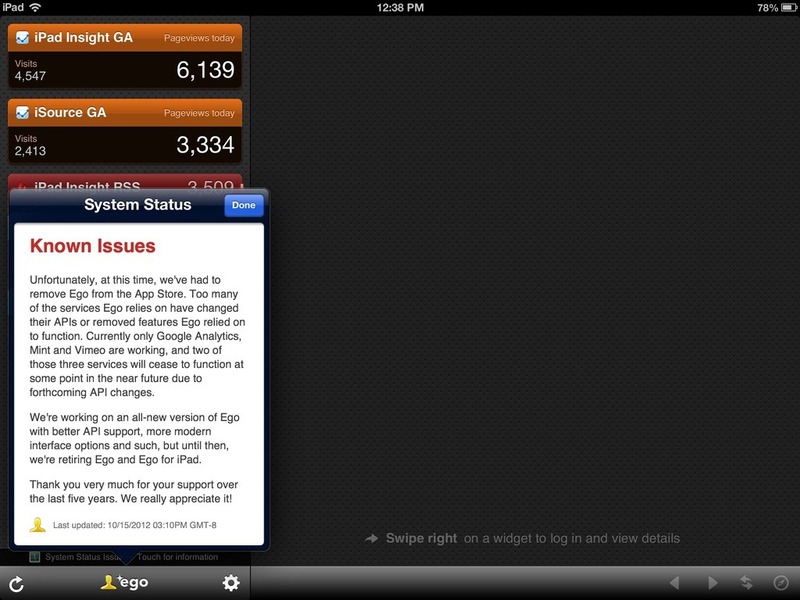 When those no longer work I’ll uninstall the app and rely more on a couple of other analytics apps I use on the iPad. Hurry back Ego, you’ll be missed. What other analytical apps have you been using?